This product is no longer available and has been replaced by: RESOURCEUSB,CSIDVD. Note: Although the ResourceDVD is no longer available, software may be downloaded from the Downloads page. 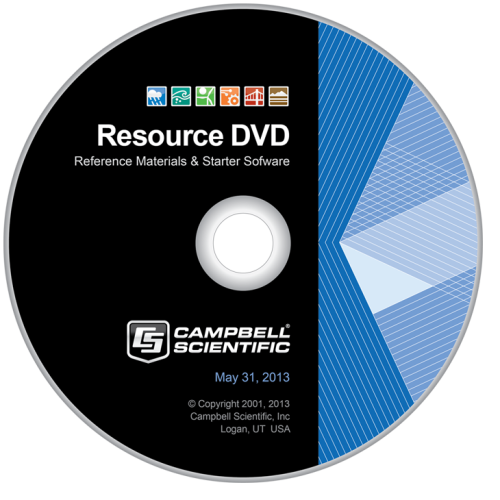 The ResourceDVD contains starter software, the latest operating systems for many of our products, and PDF versions of our product literature and manuals. We include the DVD in every product shipment instead of paper manuals. (Hard copies of manuals are available for purchase.) The DVD offers convenient, portable access to Campbell Scientific documents when using a laptop computer away from an Internet connection.